Jimmy Cooney came from a baseball family. He was born on August 24, 1894 in Cranston, Rhode Island, and when the census taker came to his house in 1900, his father Jimmy gave his profession as “ball player.” Jimmy the elder was the son of Irish immigrants whose wife Emma had given birth to three boys – Henry, 7 at the time, James, 5, and Frank, 1. He had played shortstop in the National League for Chicago and for Washington in 1890 through 1892, his best season being his first one, hitting .272 with four homers and 52 RBIs for the Chicago Colts (later Cubs). His career major-league average was .242. From 1892 through 1899 he played for Providence, and in 1900 for Bristol in the Connecticut State League. Father Jimmy never had the opportunity to see two of his sons play major-league ball. He died of pneumonia in 1903 at the age of 37. His obituary in the Pawtucket Times said he was “one of the most graceful infielders in the history of the game, and was especially skilful in the timing and handling of grounders. He was an accurate and reliable thrower. He enjoyed the distinction of being one of the first players to demonstrate the possibilities of the sacrifice hit.”2 Jimmy and Ella had a fourth boy, John, before his passing. It was Johnny Cooney who later joined his brother in the majors, and had the most successful career of them all – 20 years in the big leagues from 1921 through 1944, with a .286 career average, 15 years with the Braves and five with the Dodgers. Ella remarried, to Eugene LeMor, whose job was listed in 1910 as “peddler, wagon.” Jimmy went to Highland Park for elementary school, but did not continue his education after the eighth grade. At age 15, he was already working as a wool sorter in a woolen mill in Cranston. His older brother Henry had a job as a file maker. He signed with the Red Sox and trained at Hot Springs with Bill Carrigan’s team in the spring of 1914. He stuck with the team during its first home stand, though seeing no action. When the Red Sox went on the road after the first eight games, Carrigan cut loose four players. Cooney, seen as too young and needing more experience, was released to Worcester. He had a less successful season, hitting just .239 in 117 games for Burkett and followed that up with a nearly identical 1915, hitting .240 in 110 games. Jimmy’s older brother Henry (known as Harry) had a hankering for baseball, too. He played for several teams in 1914, including Portland, Fitchburg/Manchester, and hit .201 in 42 games playing alongside Jimmy for the Busters. It is the only year he is shown as having played, though there were three other unnamed Cooneys who played for New England-based teams in 1913. Going 6-for-8 in a doubleheader sweep of Buffalo on August 15 helped bump his average up. Even at the higher classification, Cooney hit .280 in 137 games for the Grays. He had been able to finish out the season because his number hadn’t come up in the military draft; he was #70 on the list in Cranston, and the cutoff turned out to be #63.7 Instead, he got called up to Boston and debuted on September 22. The Red Sox had won back-to-back world championships in 1915 and 1916, but by September 21, 1917, they were – though in second place – 10 ½ games out of first. Jimmy played second base, and batted second in the order, on the 22nd at Fenway Park against the visiting White Sox. He reached base twice, once with a walk and once with a single, in four plate appearances. Carl Mays won his 21st game, Boston winning 4-1. He played in 11 games, with a .222 average, with one extra-base hit (a double) and seven singles. He drew six walks, for a .333 on-base percentage, and drove in three runs, scoring four times. Harry Frazee thought he was set for 1919 with Everett Scott and Mike McNally, and he wanted to send Cooney to Cincinnati, but it wasn’t easy to get good players to pass waivers and get out of the American League. Cooney played with Providence again in 1919 and had his best season to date, hitting for a .305 average. The Tigers had claimed him off waivers and then sold his contract to the Grays. On August 22, 1919, the Grays sold his contract to the New York Giants.11 He appeared in five late-season games for the Giants and hit .214, with three RBIs. Between seasons, he married Lillian May Kimball on January 7, 1920. In March, he was released to the Milwaukee Brewers (American Association) where he played the next four years. The next year, 1924, after 17 early-season games with the Brewers, the St. Louis Cardinals traded three players for him, and he returned to the majors for a third time, debuting for Branch Rickey’s Cardinals on May 10, 1924. He arrived in time to play in 110 games and he enjoyed the best season of his career, hitting .295 with 57 RBIs. Johnny Cooney had begun his career pitching for the Boston Braves which he did from 1921 through 1930, save for 1927. The two became teammates for a year on the 1928 Braves. Johnny never gave up a homer to brother Jimmy. Jimmy only ever hit two home runs in the majors, both in the Polo Grounds. The first was in 1924 on June 17 against Jack Bentley. The second came on August 3, 1926 against Kent Greenfield. Johnny only pitched against the Cubs once in 1926, on May 21, when he pitched the final five innings. Jimmy singled off Johnny in the fifth, then came around to score the run giving the Cubs a 5-1 lead. When Jimmy came up in the seventh, Johnny hit him with a fastball to the ribs. That was the last time the two faced each other. Johnny suffered a “locked elbow” and had an operation; he didn’t pitch at all in 1927.19 Jimmy played for the Cubs again, but only appeared in 33 games for the Cubs, hitting .242. In one of those games he became one of the few players in the history of the game to execute an unassisted triple play. It came in the fourth inning of the first game of the May 30 doubleheader against the Pirates at Forbes Field. Lloyd Waner singled and Clyde Barnhart drew a base on balls. The Pirates were ahead, 5-3, before the inning had begun. Lloyd’s brother Paul Waner came up to bat with a chance to help build a bigger lead. He “spun the ball on a line past [pitcher Tony] Kaufmann’s ears and it looked like a sure fire hit, but it so happened that Cooney was playing close to second. He took two steps and was standing on the sack when the singing pill plunked into his mitt. Then he ran up the line and tagged Barnhart who was charging down from first base on a hit and run signal.”20 Cooney recalled, "Barnhart didn’t know I had the ball until I tagged him out sliding into second. Joe McCarthy came running out on the field to shake my hand. "21 The Cubs won the game, 7-6, in ten innings, and then lost the second game, also a ten-inning game. The unassisted triple play was only the seventh in major-league history. Almost incredibly Johnny Neun of the Tigers pulled one off the very next day, on May 31. Jimmy was traded again in 1927, part of a five-player trade which sent him back to the Cardinals on December 13. He played in 18 early-season games, his last one being the June 16 game against the Cubs. The Braves really wanted to acquire pitcher John “Bonnie” Hollingsworth and they sent the Buffalo Bisons two players plus Cooney to get him. Cooney’s career in the big leagues had ended. His average in 1928 was .137, and he’d driven in three runs. His final major-league career totals were .262 for a batting average (.298 on-base percentage), 150 RBIs, and 181 runs scored. He had, as noted, two home runs. With Buffalo, in the American Association once more, he hit .359 in 65 games. 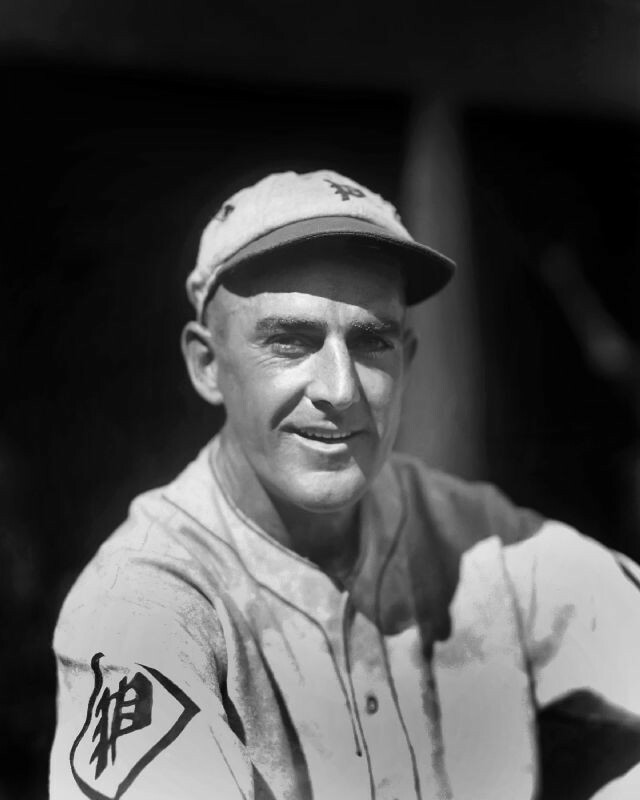 Cooney played three more years for Buffalo, playing in 155 games in 1929 and hitting .292. He hit .345 in 1930, in 79 games, during a year in which he was also the manager of the Bisons. He managed again in 1931, putting himself in the lineup in just 13 games. He hit just .175 in those 13 games. Buffalo finished in sixth place in 1930, but in last place (eighth place) in 1931. He played second base for the New Haven Bulldogs and managed the team in 1932. After his time in baseball, he found other work, making his way to the Cranston Print Works, where he worked for 25 years before retiring in 1960. He also said, "When I left baseball, I promoted softball. With all my relatives, we had a team with all Cooneys, 14 of us. Everywhere you looked, there was a Cooney. "23 He had his memories. He'd seen much of the country, thanks to baseball, and even played in Cuba in 1924. He could recall playing against Cobb and Hornsby and Joe Jackson. In addition to the sources noted in this biography, the author also accessed Cooney’s player file and player questionnaire from the National Baseball Hall of Fame, the Encyclopedia of Minor League Baseball, Bill Lee’s The Baseball Necrology, Retrosheet.org, and Baseball-Reference.com. 1 Jack Lautier, Fenway Voices (Camden, Maine: Yankee Books, 1990), 8. 2 Pawtucket Times, July 3, 1903. 3 Boston Journal, August 5, 1913. 4 Boston Globe, January 20, 1914. 5 Pawtucket Times, August 5, 1913. 6 Pawtucket Times, July 10, 1917. 7 Pawtucket Times, August 28, 1917. 8 Boston Globe, September 10, 1918. 9 John Drohan, Boston Traveler, August 7, 1924. 10 Jack Lautier, op. cit., 8. 11 Hartford Courant, August 23, 1919. 12 In 1923, an unrelated Jimmy Cooney from New England, a professional boxer, was very active in bouts in the region. He had a greater press than his counterpart in baseball. 13 Boston Globe, December 28, 1926. 14 Boston Herald, December 8, 1925. 15 New York Times, December 12, 1925. 16 Boston Globe, December 28, 1926. 17 Jack Kavanagh manuscript in Cooney’s Hall of Fame player file. This manuscript presents a wonderful account of the Tim Murnane benefit game at Fenway Park on September 27, 1917, which featured an array of major-league talent from Babe Ruth to Joe Jackson to Ty Cobb to Ray Chapman, and more. 18 New Bedford Standard-Times, June 18, 1987. 19 Ray Birch’s fine biography of Johnny Cooney is available via BioProject. 20 Chicago Tribune, May 31, 1927. 22 Omaha World Herald, February 6, 1928.